Night life in Montreal tends to revolve around the clubs – at least for those under the age of thirty. For the pre-drinking age crowd, there are dance clubs that do not serve alcohol. For those 18 and up, there are clubs which enforce the legal drinking age of 18 and require an I.D. to get in. Some clubs specialize in certain types of music; however, most dance clubs play a mixture. Clubs designed for those 25 and over have a slightly different ambiance. They feature a diverse selection of music and have been designed with more places to sit and talk. Clubs open at around 9:00 or 10:00 p.m.; however, it is rare for anyone to show up before midnight or 1:00 a.m. Generally, young people spend the earlier parts of the evening going to each other’s houses, getting dressed (a major part of the festivities), and perhaps getting a bite to eat or a drink at another bar. Although the clubs can often stay open until dawn, alcohol is not served after 2:00 or 3:00 a.m. Smaller towns do not necessarily have large dance clubs; rather they may have smaller places called cabarets. 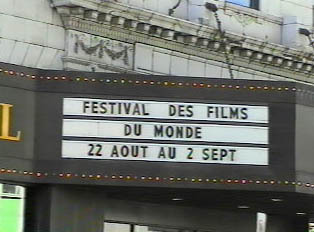 There are both the small and the larger, more extravagant style of movie theatre in Quebec. In the large theatres, customers can buy a meal, get a drink, or even play a game of pool while waiting for the show. Opera is popular, and many national and international theatre and dance troupes perform regularly in the cities. A wide selection of museums exist throughout Canada, devoted to fine art, archaeology, and even sports. One of the more notable museums in Montreal is devoted to Maurice Richard and the history of Canadian ice hockey. There are many other beautiful and interesting places to go in the large cities, such as Montreal’s Bio-Dome, an extraordinary site which recreates four of the world’s different climates, replete with the animals and plants of each climate. Sports are a large part of Canadian life. The most popular sport is hockey, both to play and watch. All Canadian children learn to skate at an early age, and there are many teams and leagues for children to join. Baseball is also a popular sport and is avidly followed as well as played in the parks and yards of all the neighborhoods. Canada offers tourists and residents alike a wide array of ski slopes, resorts and snow parks for sliding. "Teenagers Chatting on a Hot Day"